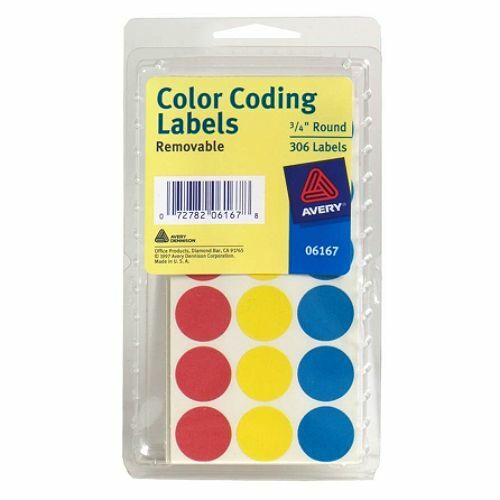 Karen has a fun post up today sharing different creative ways to use those round color coding labels that you always see in the office supply section of the store or being used as price tags at a garage sale. One of my favorite was this square vase that she turned into a dice. How fun would these be for a Bunco centerpiece!! 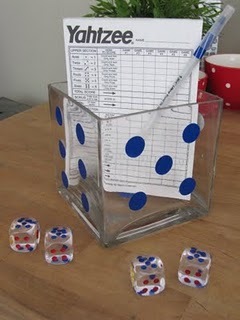 There are lots of non Bunco related uses as well (like a fun polka dot garland!!) And even really helpful ideas (like labeling your chargers so your husband doesn't steal yours when his is nowhere to be found). You can check out all of Karen's ideas over at Sew Many Ways. One way I love to use them is to make important dates stand out on our large family calendar. That way with just a glance I am reminded of anything important coming up. 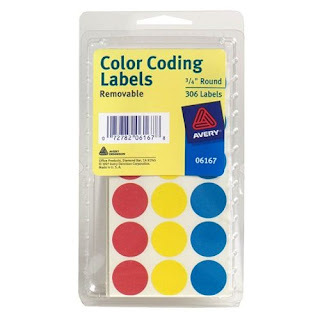 Do you have any creative uses for color coding labels?